I have had the pleasure of creating a digital illustration for Tweet your MP, a social and political tool created by Pete Taylor. 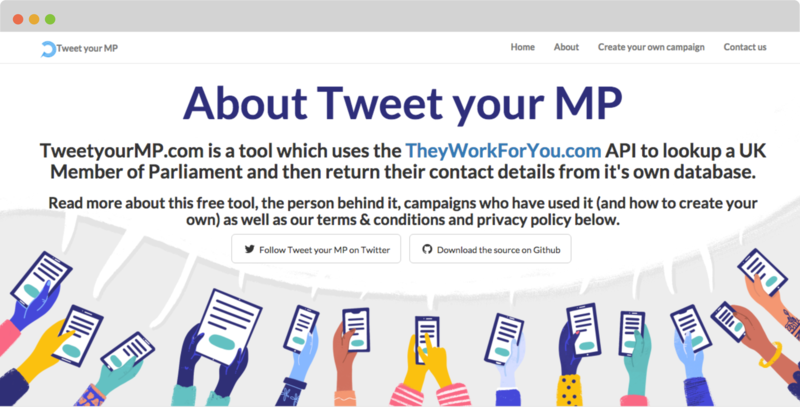 Tweet your MP is a simple tool for people to engage with their elected representatives and so far it's been used by a diverse range of campaigners including Emma Watson, Jamie Oliver, Amnesty International (to name a few). The brief was to create a friendly, conversational and positive background graphics for the website, targeting a younger audience. It had to be a unique and diverse image, showcasing digital democracy, people having a say and using their devices to raise their voices. I presented Pete with three options and once he chose his preferred idea I developed the concept from there. 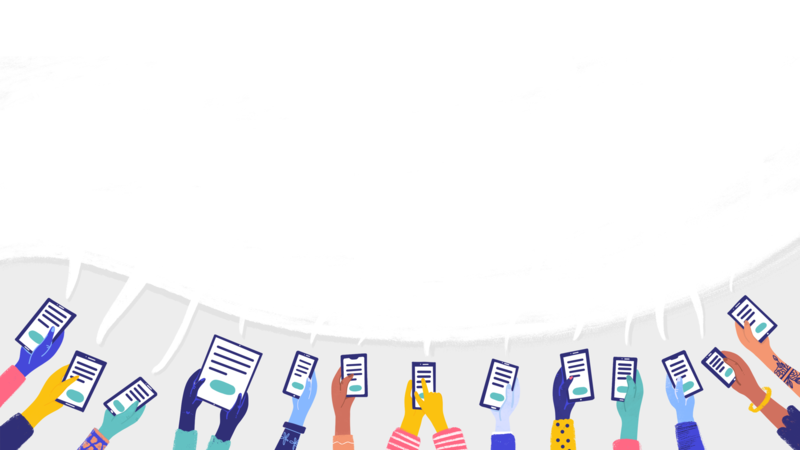 The final illustration represents several raised hands holding devices and using Tweet your MP. 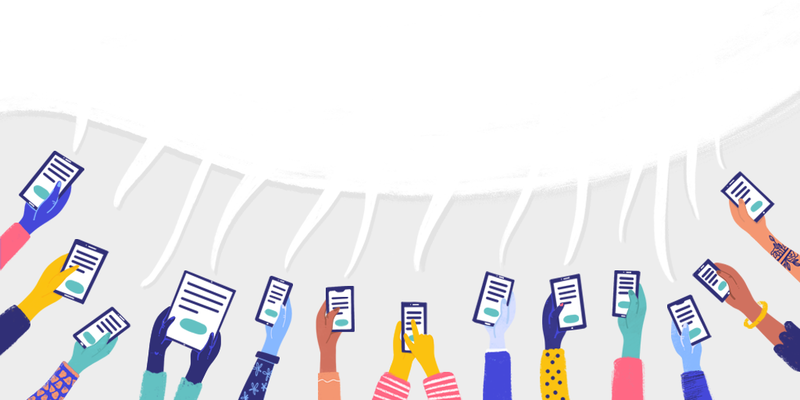 I wanted to convey the idea of digital democracy, community, people participating in the democracy process together in an easy and friendly way – people are using devices to communicate but they are still sharing the experience together. A communal speech bubble is coming out of the devices: this is a symbol of shared communication and powerful ideas that come together. 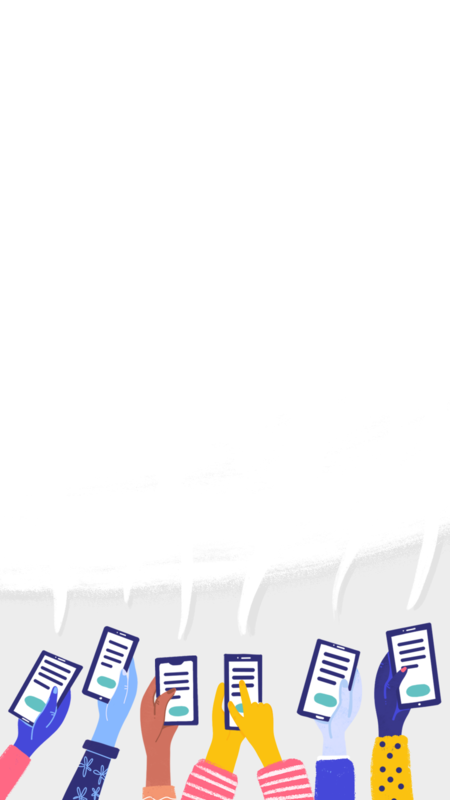 I created a desktop and mobile version for the website and a Twitter header.